Though Eat Fast’s songs are all relatively short bursts, the song writing process is no less meticulous. “It depends on song structure, arrangements and dynamics. Byker Drone took half a day, Scrambled Egg took three months.” It’s a wonder they find the time, given the rest of the band are involved in several other projects – John Edgar, Mark Brown (bass) and James King (drums) are three fifths of noise rockers Okay Champ, and Mark and James are also members of post-rock outfit Apologies. They’re all seasoned musicians too, with previous bands such as Acrobatic Society, Let’s Buy Happiness and Nately’s Whore’s Kid Sister on their CVs, giving them an advantage when it comes to understanding how the ‘music business’ works. 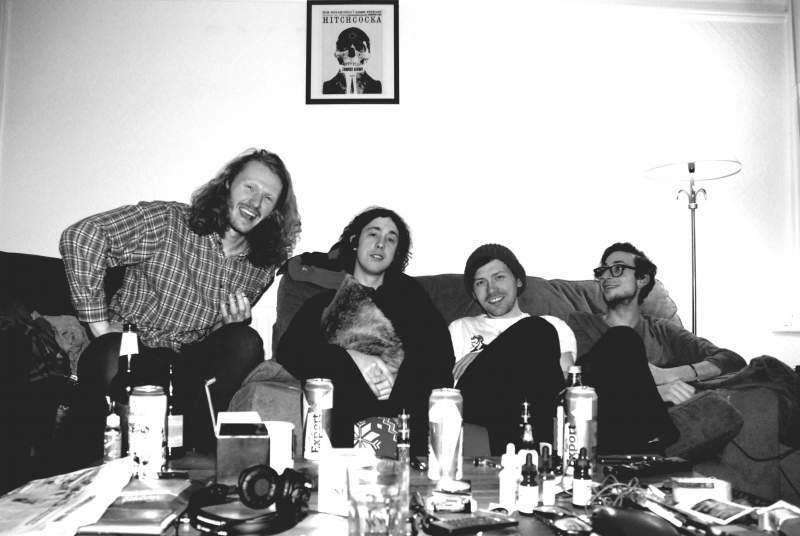 Eat Fast play Cluny 2 with Mouses and Shy-Talk on Tuesday 31st October. Immortal Kombat is out now on Cannibal Hymns.